Model T Ford Forum: The first automobile permitted into Yellowstone National Park. 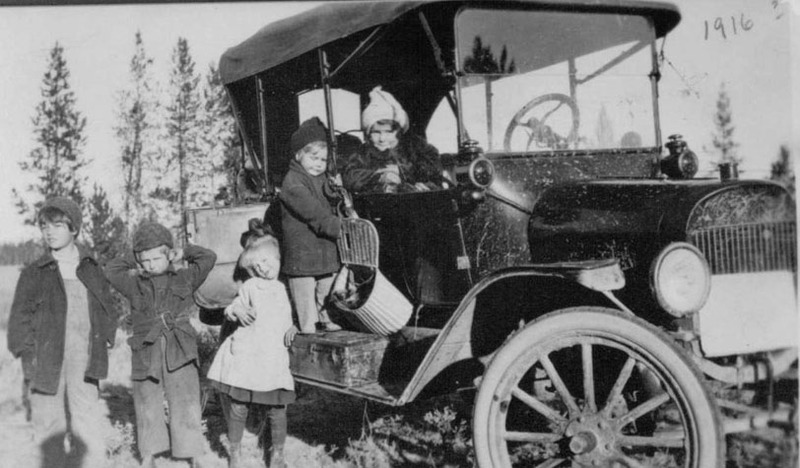 The first automobile permitted into Yellowstone National Park. Model T Ford Forum: Forum 2018: The first automobile permitted into Yellowstone National Park. Saturday, July 31, 1915. The first automobile, a Ford Model T, was permitted into Yellowstone National Park. What us the story behind your comment? Hi Warren. 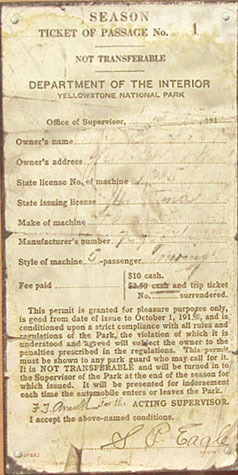 Here is a picture of that Model T and the permit. Did the person jump the gun? 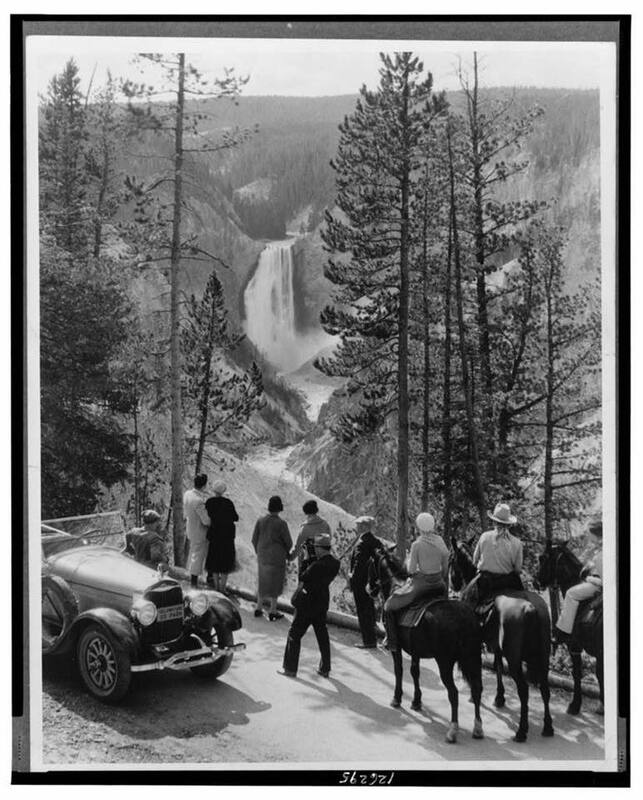 Autos were allowed in Yellowstone on Augest 1,1915.Yellowstone was the last established park to allow autos.A very good read,or if your like me and need pictures is The Playground Trail by Lee Whiteley and Jane Whiteley.Jon,You were missed at Standish!! Bud. With your Grandfather receiving the first pass into the park is one of those children around the car your Father, or uncle? Yes Denny, the young man on the left is my Father. 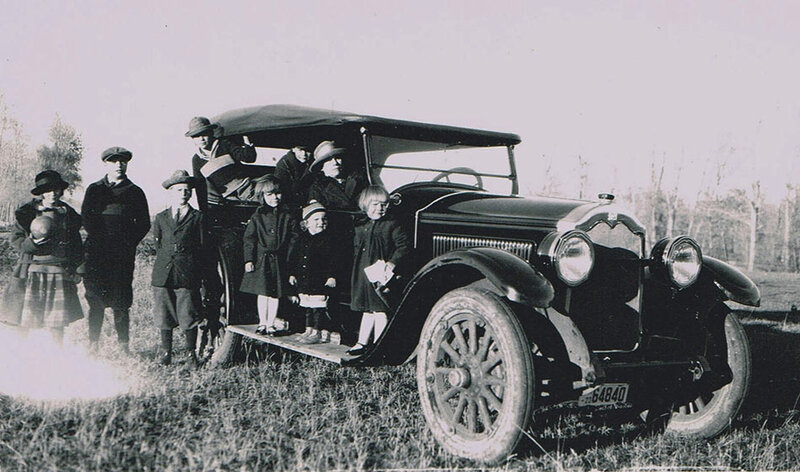 The first five children fit in the model T. They bought Buicks when the family grew to 12. I suspect the original radiator froze and was replaced the first Winter. West Yellowstone had brutal weather. This is the only photo I have found of this car. Thank you Rich, for the additional information and great photos. Richard - I was going to mention the odd looking radiator, but then you at least partially explained that in your 10:03am post; must have been some "after-market" non-Ford radiator, huh? That is what I am assuming. I haven't seen a radiator like that before. By the time I became interested in cars most of the information was gone. Rich, very special for me to see a picture of your dad at age six. I thought worlds of him, he left us 'way too soon. Thanks Rich. That's nice to hear. If only we could have gotten him more involved with old cars. Whoa! $10 to get in! Very neat bit of ephemera! That is a super cool family experience , I can understand your love for West Yellowstone and the family connection is amazing. Great photo Rich! A bunch of crows is called a murder of crows What is the collective term for a dozen eagles? Even a Buick would be struggling as 12 Eagles grew. A group of eagle is called a convocation, brood, aerie. Here is a photo of the second Buick. It was before the two youngest Uncles were born. The wheels bear the typical Yellowstone road dirt. Well dressed and the Buick the family has really moved up in the world.I have no idea but in the book i mentioned there might be pictures of your family and their cars? Bud. An amazing story Richard! Looks like a new �24 or �25 Buick. $10 in 1915 is close to $250 today. Wow! 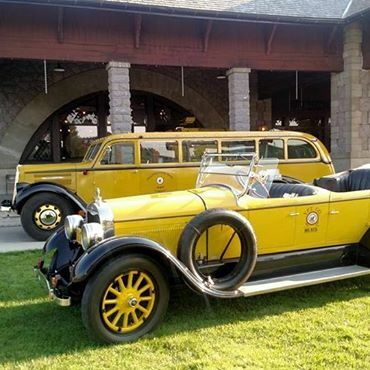 Yellowstone eventually got a fleet of Model L lincolns for their own tours. I think one or two survive. Those Lincolns were fantastic cars. A fellow in Colorado had one and we have one locally. The Park also had 50 White Touring cars before the Lincolns in addition to the several hundred Buses. The 1923 Plate on the Buick suggests a 1924 Model.